This soup is more like a stew. It is super tasty! This recipe is taken from “The Epicurious Cookbook – More than 250 of our best-loved four-fork recipes” by Tanya Steel and the editors of Epicurious. Give yourself time to make this as the barley needs to simmer in the soup for 45 minutes. The book suggests for a meatless meal, simply omit the chicken and substitute vegetable broth for the chicken stock. You can even bump up the bean count for additional protein – and extra fiber. 1. In a small bowl, whisk together the lemon juice, 1 tablespoon vegetable oil, 1 tablespoon chili powder, 1/2 teaspoon cumin, and the garlic powder. Place the chicken breasts in a large bowl. Add the lemon juice mixture and toss to thoroughly coat the chicken. 2. In an 8-quart Dutch oven over moderate heat, warm 1 tablespoon vegetable oil. Add the chicken and cook, turning once or twice, until browned and cooked through, about 12 minutes total. Transfer the chicken to a plate. 3. Add the remaining 1 tablespoon vegetable oil along with the onions and garlic to the Dutch oven and saute, stirring occasionally, until the onions are translucent, about 6 minutes. Add the black pepper along with the remaining 1 tablespoon chili powder and the remaining 1 teaspoon cumin and cook, stirring frequently, for 2 minutes. Add the tomatoes, and their liquid, chicken stock, black beans, barley, chilies, and tomato paste and bring to a boil, stirring occasionally. Reduce the heat to moderately low, cover, and simmer until the barley is tender, about 45 minutes. 4. Cut or tear the chicken into bite-size pieces. Once the barley is tender, stir the chicken into the soup along with the corn, and cook until heated through, about 3 minutes. Season with salt and pepper and serve. This recipe is taken from LCBO’s Food and Drink magazine Autumn 2012. The recipe for the Tomato Chili Jam is also on this blog. If you do not have a panini pan, use a skillet and press sandwiches down with a spatula. I used the food processor to make the avocado mayo with great results. I also used demi-baguettes. I do not have a panini press, so i just pressed my sandwiches down with a smaller skillet, I found the spatula too small. 2. Toss chicken with 1 tbsp (15 ml) olive oil and season well with salt and pepper, grated lemon rind and paprika. Heat remaining 1 tbsp (15 ml) of oil in skillet over high heat, add chicken and sear for 2 minutes a side or until golden. Place in oven and cook for 5 to 8 minutes or until juices run clear. Set aside. 3. Mash avocado in a bowl. Add mayonnaise, coriander, green onions, lemon juice and sambal oelek. Stir in olive oil and season with salt and pepper to taste. Alternatively, place all ingredients in a food processor and combine. 4. To assemble: slice ciabatta open and generously spread 1 cut side with avocado mayonnaise and the other with Tomato Chili Jam. Slice chicken and pile into the middle of the sandwich. Repeat with remaining ingredients. 5. Heat a panini or grill pan and grill sandwiches for 5 minutes, pressing down on the sandwich, or until warmed through. This condiment goes with the Chicken Panini with Avocado Mayonnaise recipe on this blog. This recipe was taken from the LCBO’s Food and Drink magazine Autumn 2012. The magazine also suggests that you can use this as topping for hamburgers or serve with French fries. 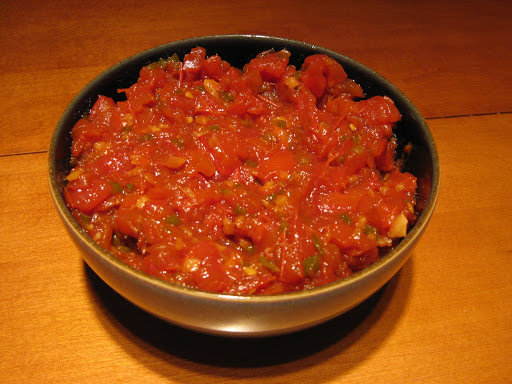 If fresh tomatoes are not available then use 1 can (798 ml) chopped tomatoes with juice. 2. Bring to boil slowly, stirring constantly. When it reaches a boil, lower heat to a simmer and add diced tomatoes. 3. Simmer gently for 40 to 50 minutes or until dark red and jam-like. If jam is too sweet add Asian chili sauce to taste. 4. Pour into a bowl, cool and place in jars. Refrigerate for up to a month. I took this recipe from the website allrecipes.com. I have used it before and it’s really good. The original recipe makes 4 cups of marinade, but I used the conversion calculator within the recipe website to work it out to 4 servings. The 4 serving recipe is what is listed below. My kids love this one! 1. In a medium bowl, mix together oil, soy sauce, Worcestershire sauce, wine vinegar, and lemon juice. Stir in mustard powder, salt, pepper and parsley. 2. 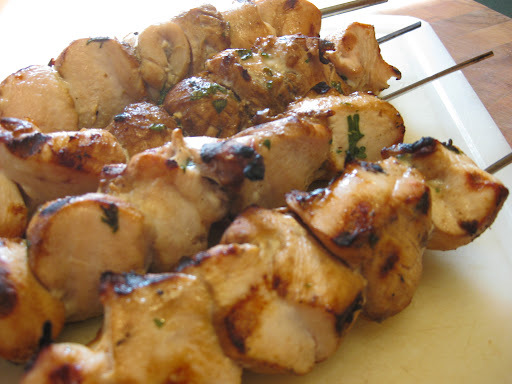 Use to marinade chicken before cooking as desired. The longer you marinate, the more flavor it will have.